School communities from De La Salle College Malvern and St James College East Bentleigh are among many Lasallian schools across Australia and Papua New Guinea that have come together to celebrate the Feast of Our Founder, St John Baptist de la Salle. Founder's Day is held around mid May in many Lasallian schools, close to the actual Feast Day of 15 May. It will also be celebrated across the three Lasallian schools in New Zealand in late May and early June. It is a time to acknowledge and celebrate the rich legacy left by the Patron Saint of Teachers who established a network of schools for the poor in France over three hundred years ago. 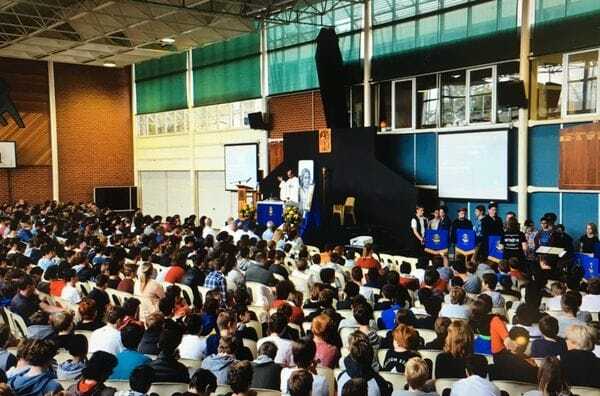 At De La Salle Malvern, the day began with a staff breakfast, followed by a whole school mass, celebrated by Fr Martin Tanti in the College Gym. Five De La Salle Brothers attended the mass from the Malvern community, including Old Boy of the College, Br Paul Toohey. Students were then able to enjoy a carnival type atmosphere at the Kinnouul Campus, including jumping castles, a live DJ and an 'open mic' for talented singers and musicians. 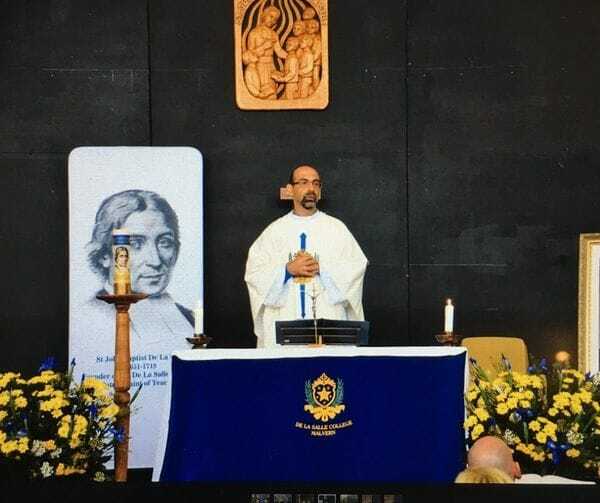 The Deputy Principal of De La Salle Malvern (Faith and Mission), Mrs Rana Brogan said it was a great opportunity to celebrate the school's strong Lasallian heritage. "It provided us with a time and space to stop and acknowledge our Founder and to give thanks for being part of the rich Lasallian story", she said. At nearby St James College East Bentleigh, one special guest at the Founder's Day Mass was the former Principal of the school, Br Joe Gabel. Currently based at the Mentone community, Br Joe attended a school mass in the hall named in his honour, alongside the Executive Director of the Lasallian Mission Council, Merv McCormack. Another special guest on Founder's Day was Br Jeffrey Calligan from the U-S who is well known for the contribution he made to Lasallian Education Services during an eight year stay in Melbourne from 2006-2014. Br Jeffrey is visiting Lasallian schools around Australia before returning to San Francisco in late June.